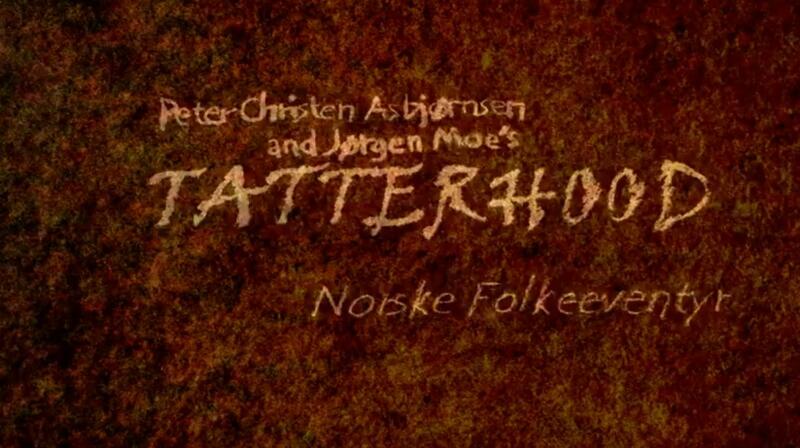 The story of Tatterhood is folklore that has been interpreted and altered through storytelling ostensibly since the 1600’s; in the 1800’s George Dasent translated a version by Peter Asbjørnsen and Jørgen Moe. 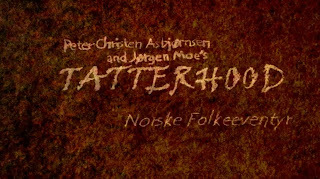 This is the version that our team chose to animate as it is the closest to the roots of the story and the only visuals it incorporated for us to mimic was in the imagination, as such we desired to reflect the origin of the Tatterhood tale with the visuals of this trailer. 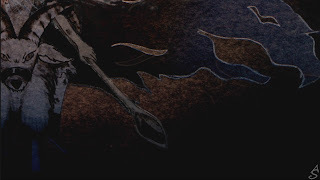 Noteworthy is our decision to incorporate a dark feeling in the trailer when this mood isn’t reflected in the storytelling: in the scene we selected to depict Tatterhood – although determined – is rather nonchalant about retrieving her sisters’ decapitated head, and embarks on the journey with her sister, prepared to fight a hoard of trolls by herself to get the head back. The way that we represented the story was to incorporate a time and place where disturbing things, like fetching your sisters’ head, could be conceived as the norm. We wanted to put the words, intended for an audience 200-400 years past, into the realm of its era and entice the viewer to not just want to read more of what events happen in a newly aged-story, but also to incorporate the past and culture buried in the words. One convention that we used to age the piece was scrolls to animate the opening and ending credits; the same paper was used unfailingly throughout the piece and animated with charcoal. 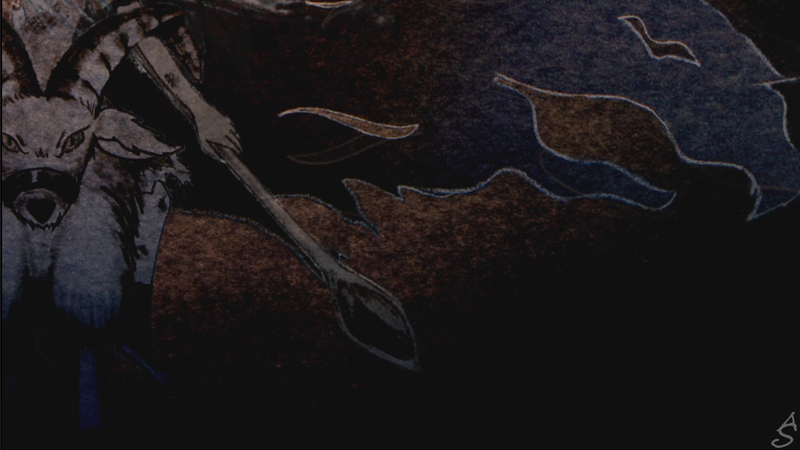 The animation centered on the paper figures, as we used the cut-out 2-D characters throughout the animation and made no attempts to mask the use of paper; instead shadows were utilized to highlight the animation medium as a reminder to the viewer that the story (and everything imagined) is experienced through the page. Light was another big animation decision. By using a large tinted glass table, natural morning light was streamed into the room, bouncing off the floor and hitting the glass in an uneven gradient that is aptly apparent through the transparent nature of the thin paper. To have more control on the light a lamp was set up under the table and warm-hued candles were placed to flicker over the art during the photo-capture process. In order to pull the subtleties of hue from the pages the tone, contrast and colour were adjusted in Photoshop. All colour in the animation came directly from paper. This section will be updated shortly. Images have to be compiled and made into low res.